For everyone interested in the future of Frederick County, county residents will have a number of opportunity to learn about, ask about and discuss the draft Livable Frederick Master Plan at community “open houses” in around the county. This important comprehensive planning process began more than two years ago, and a great deal of work has been done to get to this point, where a complete draft is available for your review before it goes to the county council! WHAT KIND OF PLACE DO WE WANT FREDERICK COUNTY TO BE IN 25 YEARS AND BEYOND? The Frederick County Department of Planning and Permitting will be hosting five Livable Frederick Master Plan Outreach meetings. 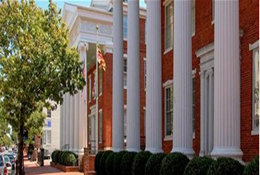 These meetings were set up to inform county residents about the Livable Frederick Master Plan, update them on its status, and answer questions about the it. Click here to open or download the draft Livable Frederick Master Plan! grow as a community. Livable Frederick presents a new approach to answering these questions. The purpose of the Livable Frederick Comprehensive Plan is to identify what citizens value about Frederick County, to build on citizens’ shared vision, and to lay out a framework for growth that allows us to retain those elements that make Frederick so special. 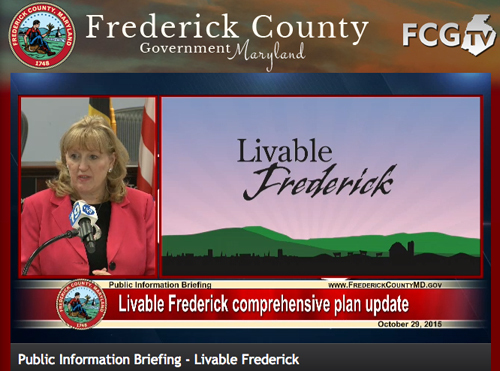 Livable Frederick is about growing the county well. The process has been vision-focused, not zoning driven as in years past. This dynamic approach has allowed us to move beyond contentious topics and instead focus on putting in place the community’s vision for a sustainable, high quality of life over the next 10 to 25 years. This plan considers how people will want to live, work and recreate. It links transportation, public health, and jobs to land use decisions, and considers what we want to preserve for future generations. Frederick County residents have expressed a strong desire to ensure the future viability of agriculture and the protection of our environment and historic and cultural assets. 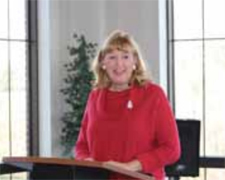 Throughout the process, the county has actively sought engagement from the community through surveys, social media, steering committee meetings, and other outreach methods. The final result is a Comprehensive Plan document that reflects the community’s vision and sets the stage for an equitable, sustainable, healthy, and most of all Livable Frederick County. Now it is up to all of us to take action and implement the plan.